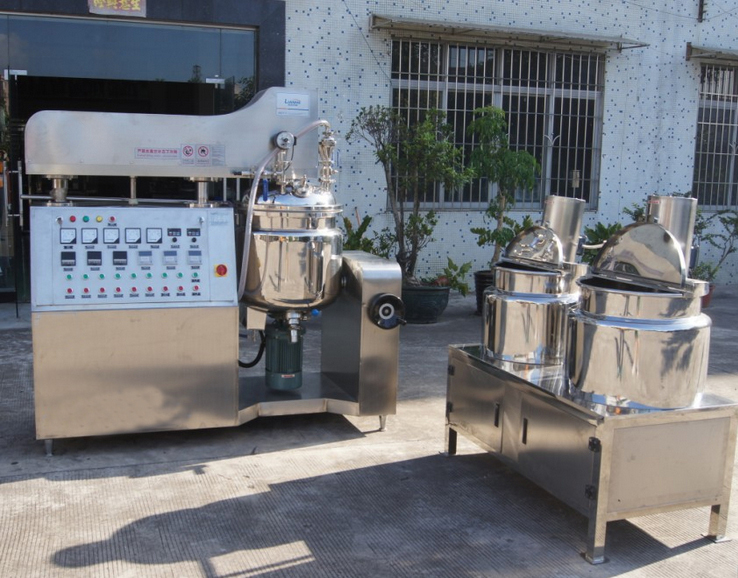 The model of YX series vacuum cream manufacturing machines is suitable for production of ointment and cream products in cosmetic and pharmacy plant.The emulsifying effect is more prominent for materials of high base viscosity and high solid content. 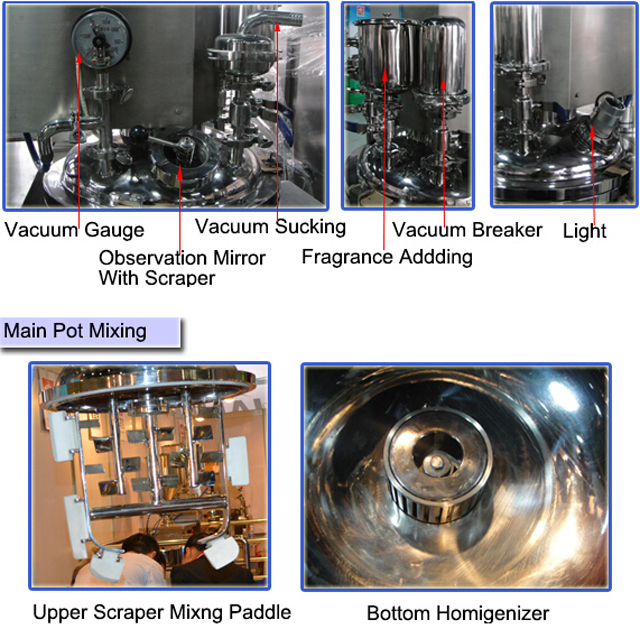 4, Mightiness balance isotactic curve rotor is matched with stator with corresponding structure to realize liquid high-capability cut,rubbing,centrifugal to make sure exquisite and slick cream; boiler body and pipe surface mirror polishing 300EMSH (sanitation grade) accords with Daily Chemical and GMP regulation. 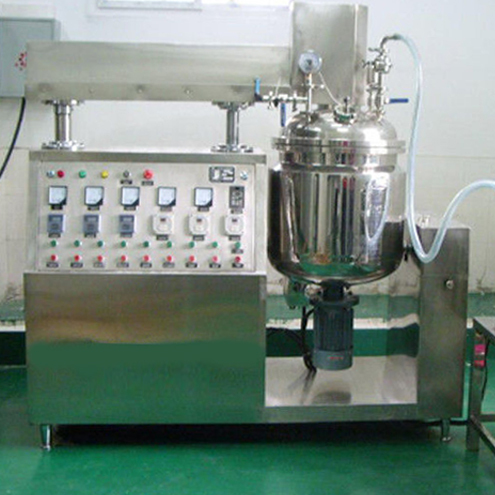 5, Customer can choose frequency conversion timing homogenizer and highest rotate speed is 4500 r/min. 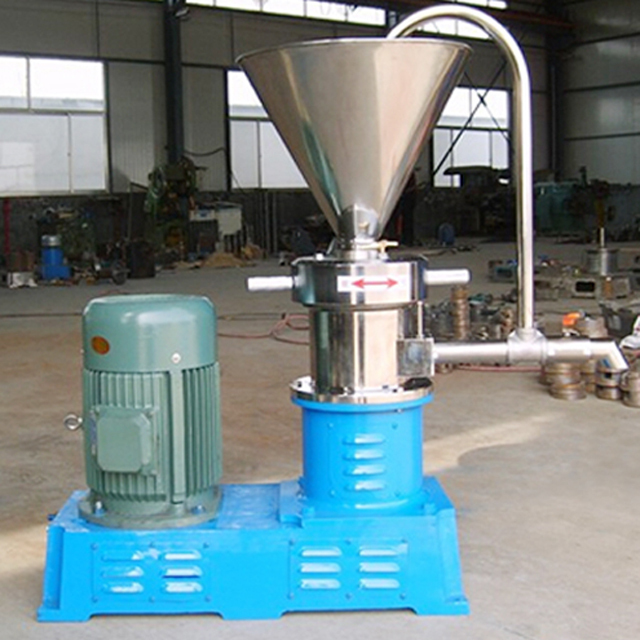 This machine ,ie 50L tilting vacuum homogenizing emulsifying mixer ,is integrating vacuum defoaming, blending, homogenizing, heating and electric control etc. 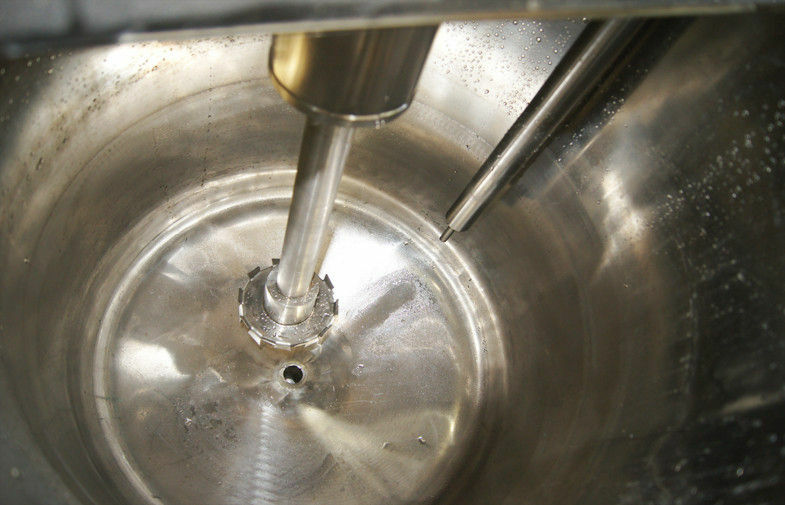 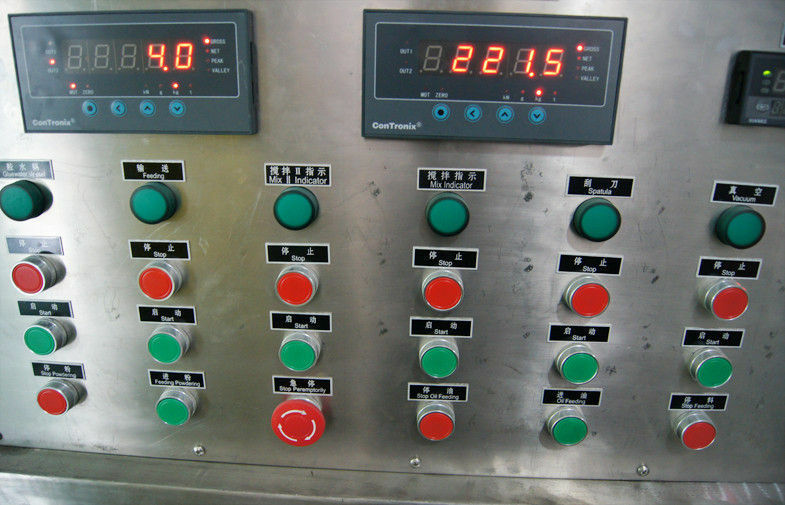 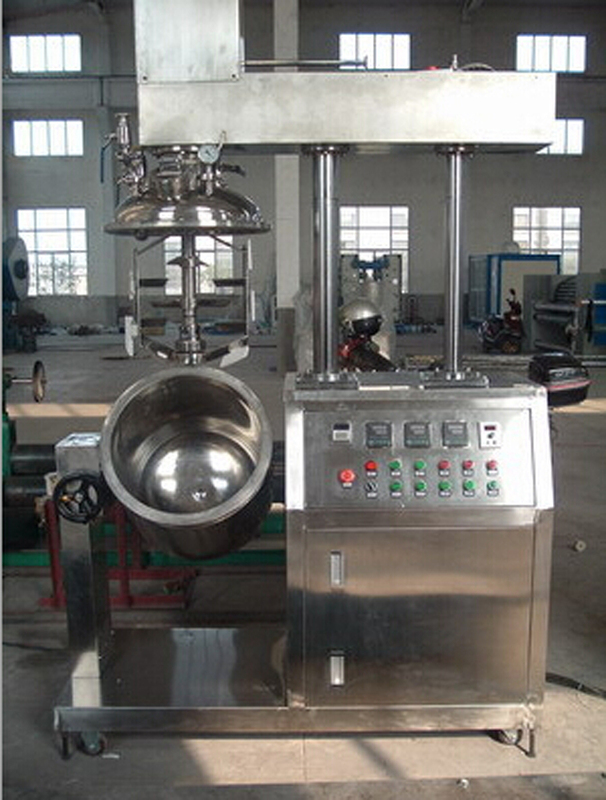 It is an ideal device for producing high and middle level creams and honeys etc. 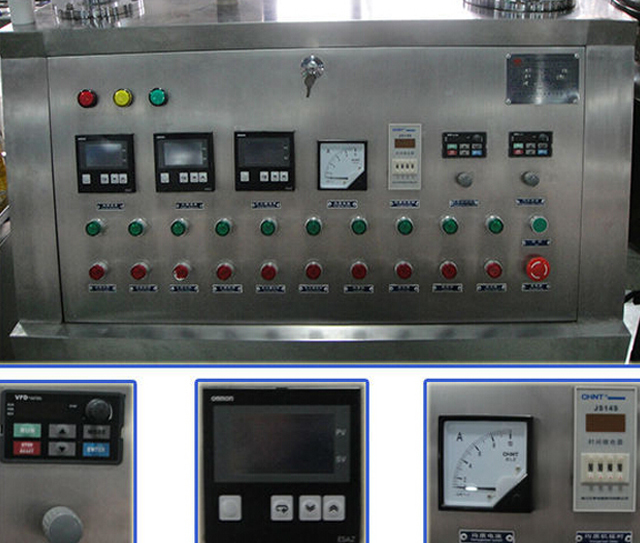 The machine is composed of vacuum homogenizing and emulsifying boiler, oil phase boiler, water phase boiler, operation platform, vacuum system and material pressing system etc. 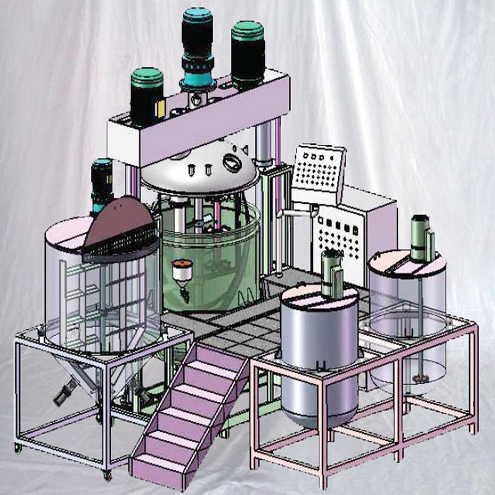 We have an experienced technological team who can recommend you the suitable machine and model for you according to your specification,finally design all the processing by CAD software enchancing your learning about the whole plan. 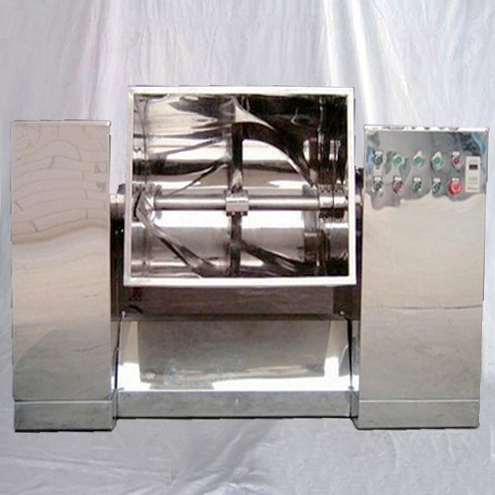 For more information about our vacuum emulsifier machines,plz feel free to contact us online or directly browse our another site www.youtube.com/user/cosmeticmachines. 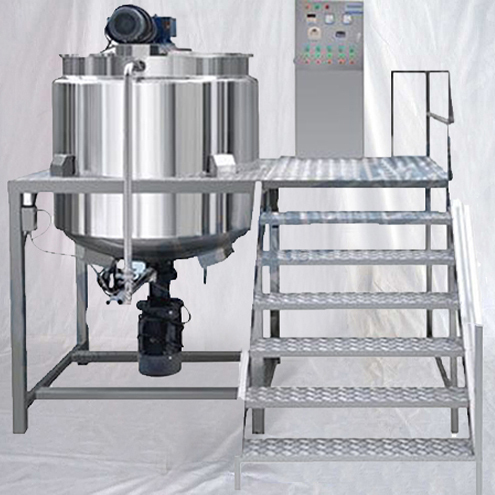 Moreover we have succeeded in doing business with customers from many regions like Singapore ,Yemen,Algeria etc. 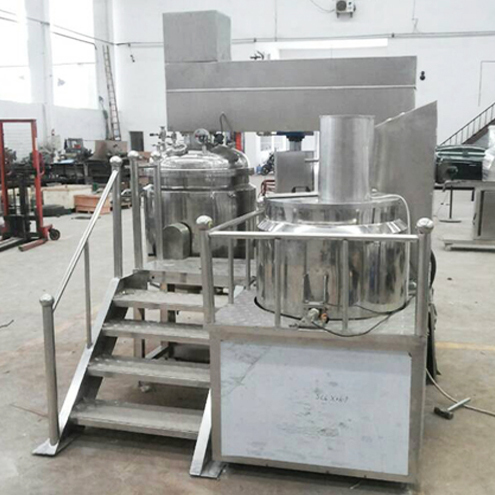 Every time before we loaded the goods we will try the operation of vacuum emulsifiers equipments.confirming all is okay can we delivery the water treatment equipment.